Uses: This website is great. I feel that it is similar to pinterest but more geared towards education. However, it allows you to organize your favorite website links, videos, images, research and more by placing it into notebooks. From these notebooks you are even able to make presentations. I think it’s great, but don’t take my word for it. Head over and check it out yourself. 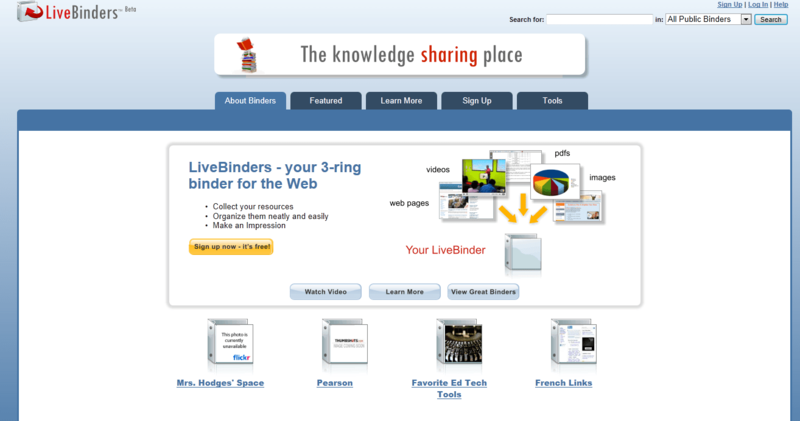 Just learned about LiveBinders at a Cyber Camp, very cool and can be used for ANYTHING! !